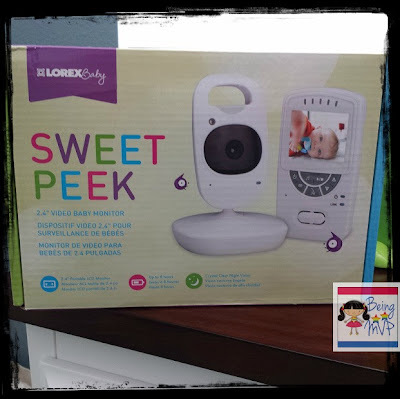 being MVP: Lorex Sweet Peek Baby Monitor & Giveaway! 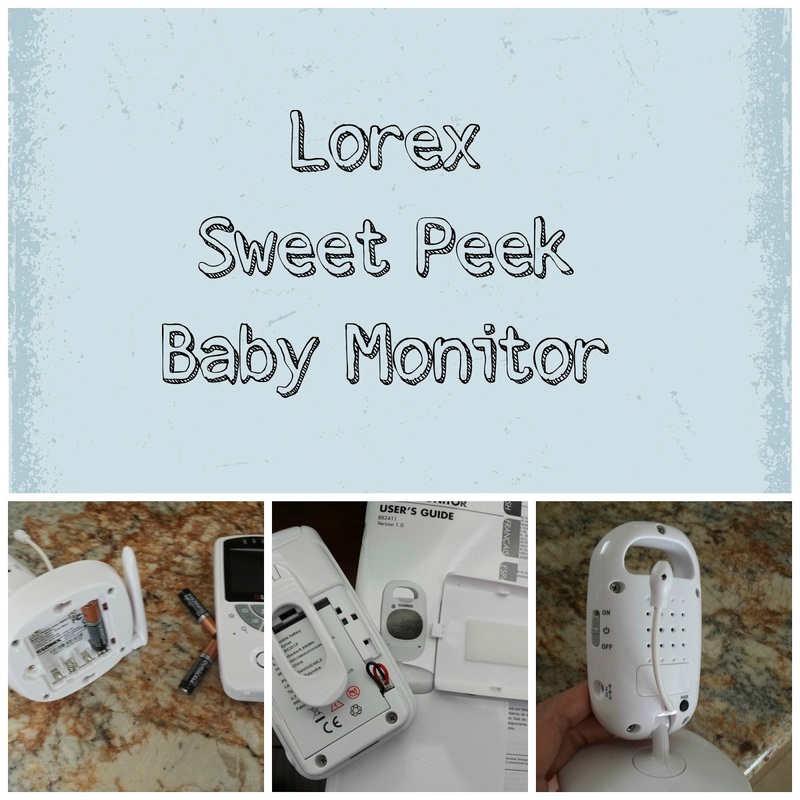 Lorex Sweet Peek Baby Monitor & Giveaway! I have to keep an eye on my kiddos at all times....especially when they are together. Although Kenzie loves Mason, she has a tendency to forget he is still a baby and overtly zealous at times when playing with him. Therefore, I was excited to receive the Lorex Sweet Peek Video Baby Monitor for review. I didn't use a wireless baby monitor on a daily basis with Kenzie mostly because our home was smaller and she was essentially with me at all times or within eyesight. However, since we now have 3 stories to deal with in our new home, it is helpful to have an extra pair of "eyes" on the kids. I decided to test the Lorex monitor in the playroom first because sometimes Kenzie plays while we are watching TV in the living room. Even though our home has an open plan, there is a step down into the living room so the view to the playroom is not entirely visible. The wireless camera was pretty simple to use and we were ready to use in minutes after the battery in the monitor was charged. It can be mounted but the simplicity of just placing it on the kitchen island to point toward the playroom is awesome. I love that there is a digital zoom option as I may want to focus on what Kenzie really is doing to Mason... haha. The video monitor has a large 2.4" LCD screen and the battery life is up to 8 hours or you can plug into the socket using the included AC adapter. The system can expand to 4 cameras which is great because you can essentially put a camera in each room of the house and always have an eye on your kid(s). There is also a nightlight on the camera which is great to have in each child's room. The lullabies are perfect to soothe Mason at night as well. You can even have the lullabies playing on the camera when you turn off the monitor. The night vision on the monitor is crystal clear and not grainy like some other monitors I have seen. The two-way talk is fantastic as I can alert Kenzie to stop doing whatever she does to Mason - she pops her head up listening for "the voice in the sky". The sound is clear and crisp and I can even take the monitor to the patio and supervise from there as well as supervise from the 2nd floor when Kenzie is playing in her room on the 3rd floor, because of the great range. So many fantastic features are packed into this modern, compact video baby monitor that fits into even the chicest home decor. This is a great gift for a baby shower as well as putting on your own baby registry. The camera can be used beyond the infant years and even to spy on your teenage kids - maybe? Make sure to connect with Lorex Technology on Facebook and Twitter! One Winner will Receive a Lorex Sweet Peek Video Monitor! I like the DVR for security system 4 channel with 500GB hard drive! I would love the complete security system! The Wireless home security camera system - 4 outdoor cameras and monitor would be great! I alos like the HD sports camera - hubby would love something like that for his hikes. The reliable home monitor system looks great! I love the HD IP Camera System. I like the home camera system! Thanks for this giveaway! I love the HD sports camera! I love the HD IP Camera System!!! I like the complete security system. I like the complete security system. Would love this baby monitor! I also like their Security DVR Edge series. I also like the IP Cameras. I love the home camera systems. If I could afford it I would love to have it. My son would like the action cameras. I really love the complete security system! 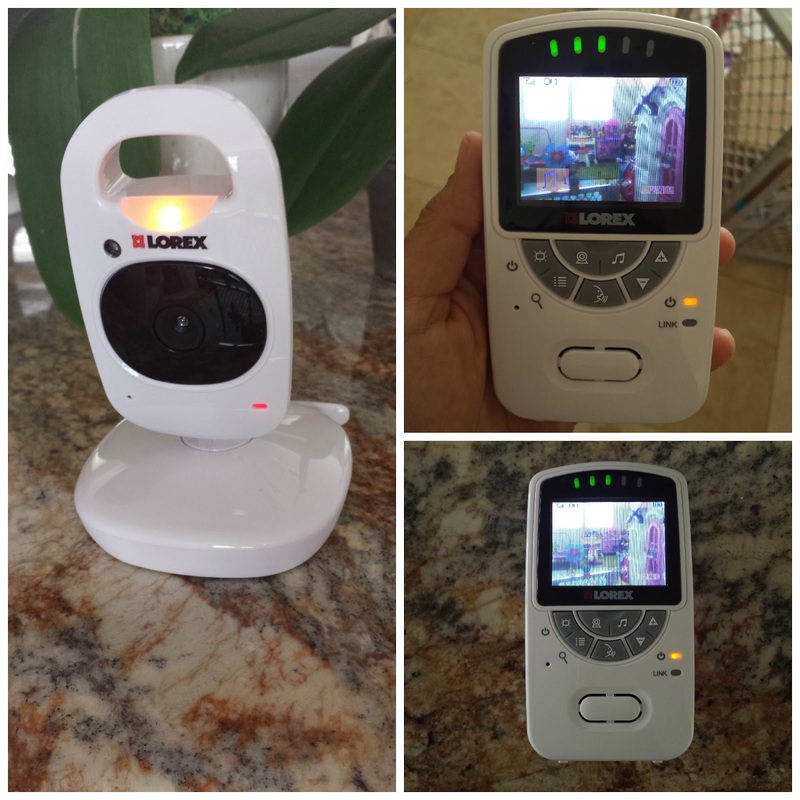 I also love the baby monitor with outdoor camera! I would love to try the Pan-tilt baby video cameras with monitor! I also like their Complete security system! Thanks so much for the fantastic giveaway! I would also love to have the IP camera. those Action sports cameras HD look really cool! I love the Wide-angle video sunglasses... pretty awesome looking! The home camera system looks like a valuable item to have. The Active HD Sports Camera would be great to have. I like the Wireless security camera system with 3 surveillance cameras. I like their complete security system! I like the home camera system. A home camera system would be great! I really like the home camera system, nice ! I can't afford them, but I'd love the wireless surveillance cameras! The Wireless IP Camera caught my eye. I love the Sports camera video sunglasses HD - wide angle! Very cool! I'd definitely like to have a home security camera system (wireless)! I also like and want the HD sports camera. I like the Active HD Sports Camera. Thanks. Love their wireless and complete systems! I like the Wireless IP cameras. I would also like the Wireless home security camera system - 4 outdoor cameras and monitor! Wireless home security camera system looks awesome! The 16 channel security DVR with H.264 compression and remote viewing looks very nice! Learning the contact velocity is essential info when capturing on film in dim light, and moreso when using long telephoto contacts. This design likewise provides a permanent auto-focus form while taking the video clip. business people to use this funding strategy.